If you’ve been reading my blog for the past 12 months, you’re aware of my admiration for A24 Films and the movies they put out. 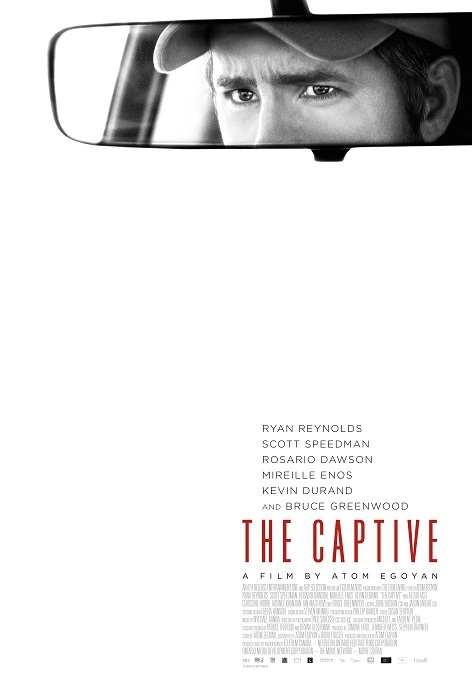 They have an impressive slate of films in 2014 and their latest release is The Captive starring Ryan Reynolds, Mireille Enos, Rosario Dawson, Scott Speedman, and a creepy looking Kevin Durand. Matthew (Ryan Reynolds) steps briefly into a diner and comes out to find that his young daughter Cassandra has vanished without a trace from the back of his truck. Her unsolved abduction destroys Matthew’s once-happy relationship with his wife, Tina (Mireille Enos), who, haunted by mementos of Cassandra that appear mysteriously at her work, suspects her husband of foul play. Years later, when detectives Nicole (Rosario Dawson) and Jeffrey (Scott Speedman) discover recent images of Cassandra online, Matthew risks everything to ensure his daughter’s safe return—and to save himself and Tina from the limbo of unrelenting despair. The trailer looks pretty intense. It has the same eerie tone as 2013’s Prisoners. The Captive is currently available on DirecTV Exclusive but if you love the theater experience it opens wide on December 12th. Check out the trailer below and leave a comment. Posted in Trailers and tagged A24 Films, DirecTV, Kevin Durand, Mireille Enos, Prisoners, Rosario Dawson, Ryan Reynolds, Scott Speedman, THe Captive, thriller. Bookmark the permalink.